The first few days of March were busy ones for the Moultonborough Lions. In addition to the Board and Business meetings on Monday, March 4 and Bingo on Tuesday, we performed two service activities on Tuesday, March 5. Mark and Mike went to Russell Elementary School in Rumney, NH and did vision screening for 71 students. Also on the 5th, Lions John, Bill, Sally and Pete (in his Lion’s outfit) helped Sandwich Elementary School celebrate Dr. Seuss week. 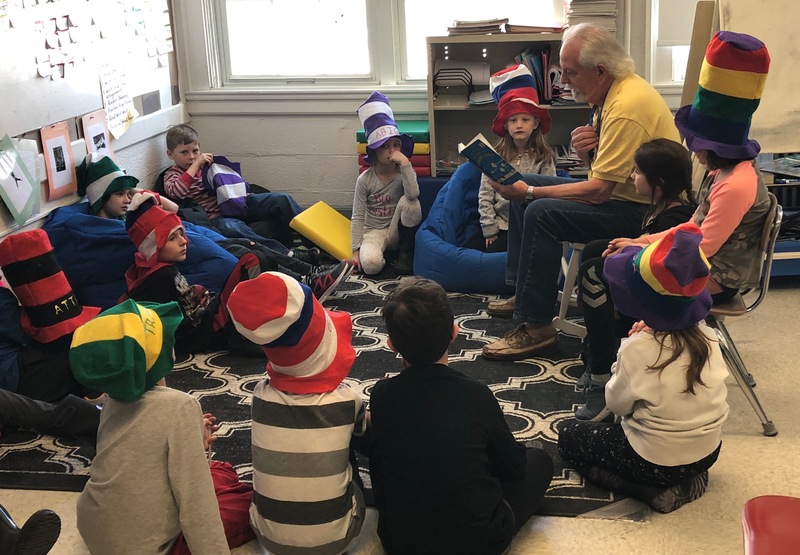 Bill read On Mulberry Street to the 1/2 classroom. 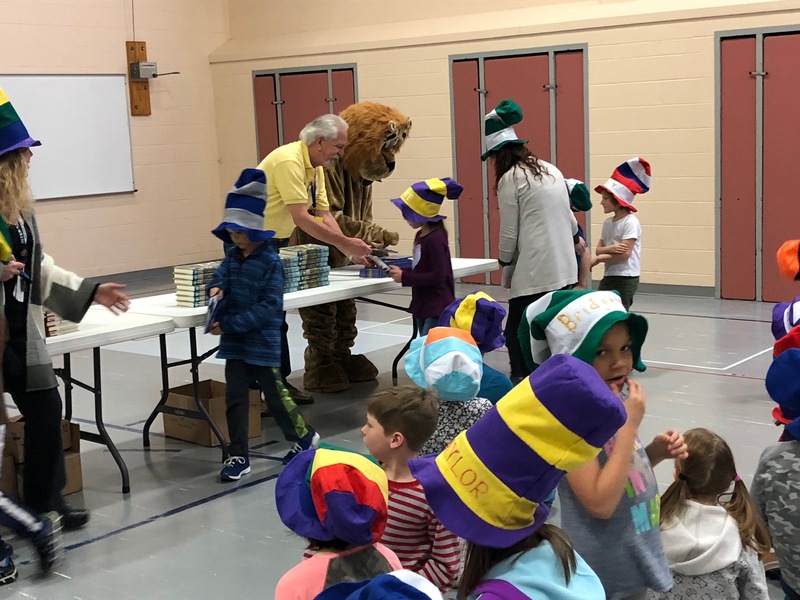 And all four Lions gave newly purchased books to each of the 79 students in grades K – 6 as part of our Reading in the Schools/RIF service activity.